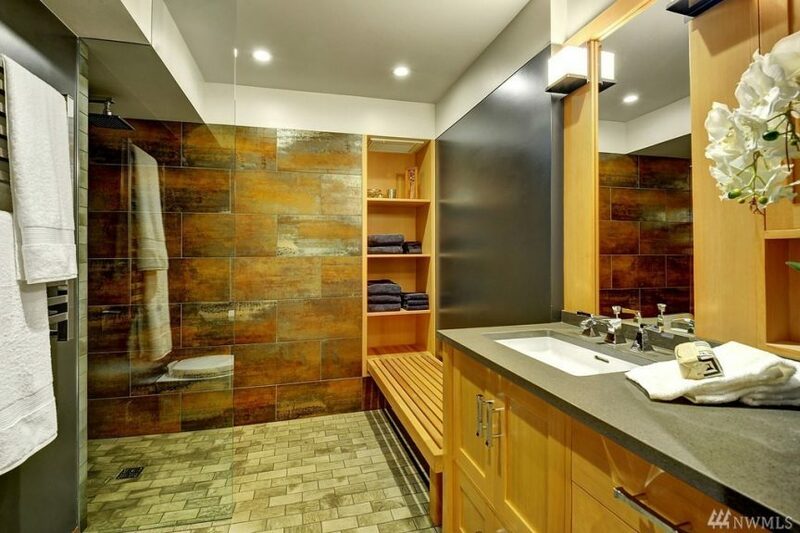 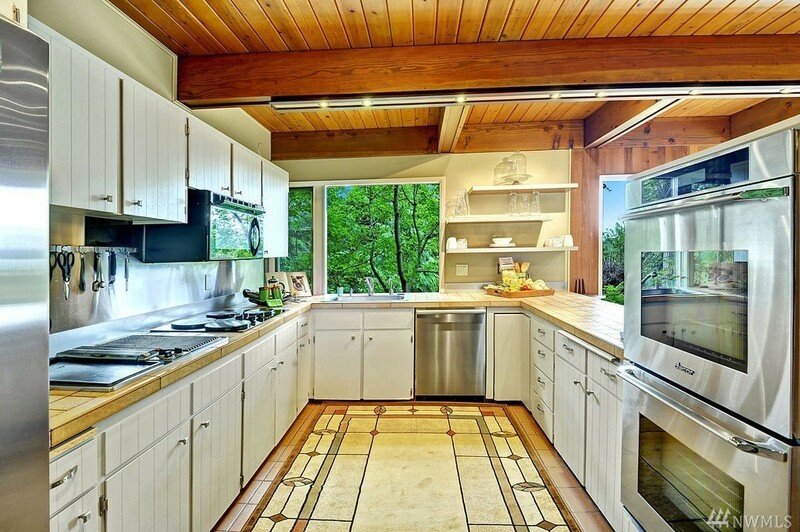 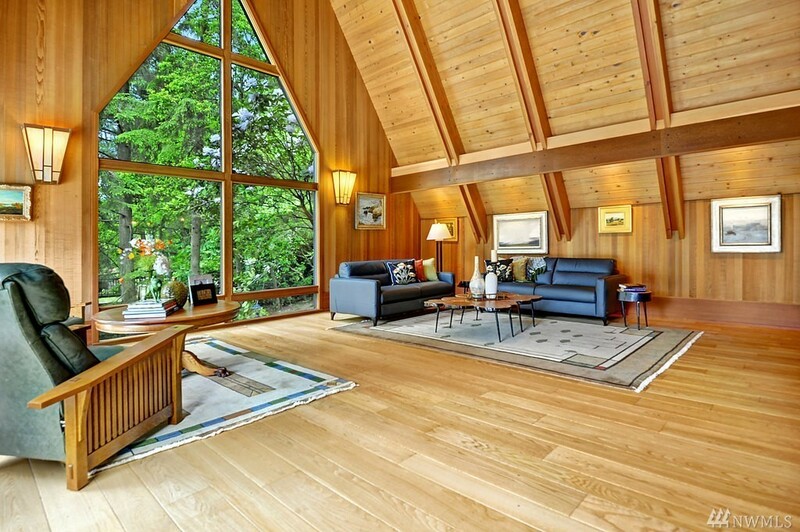 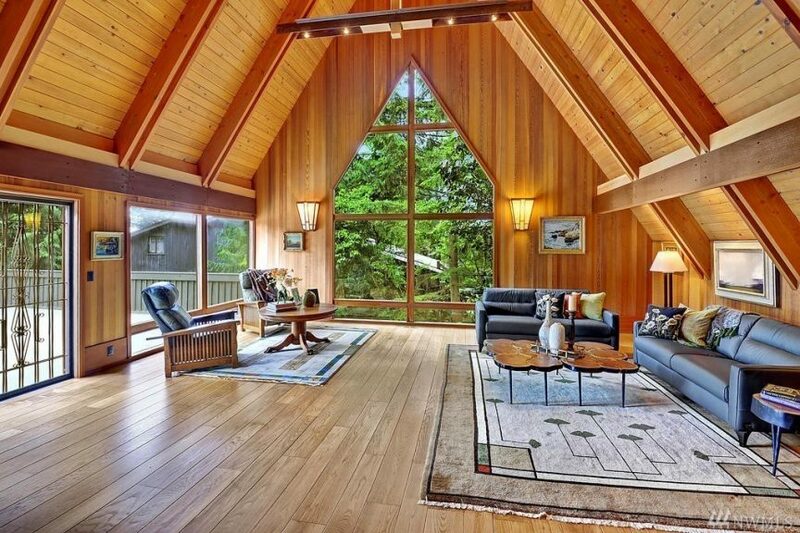 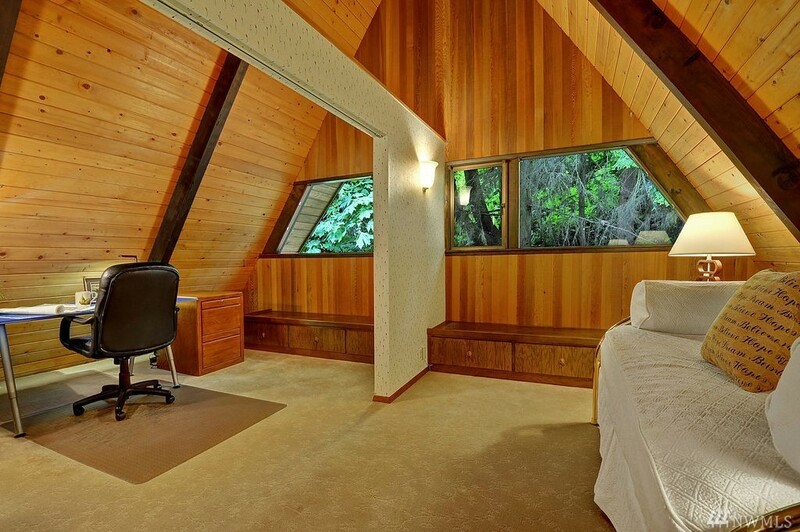 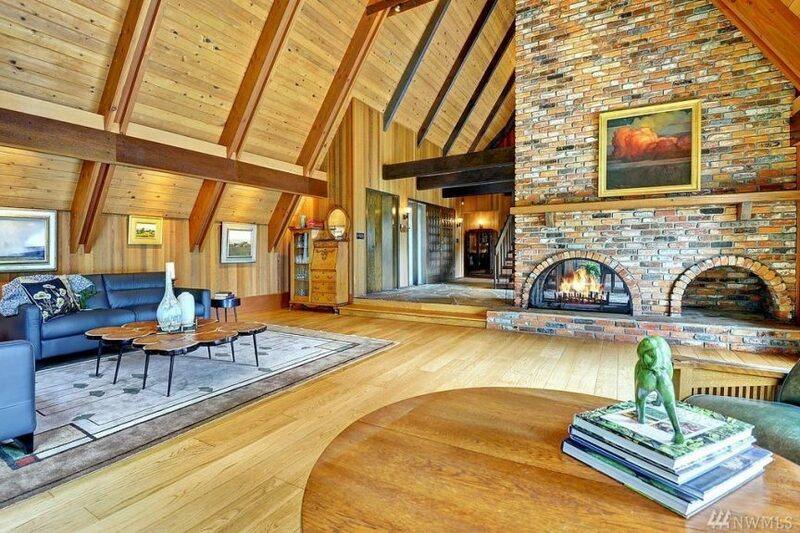 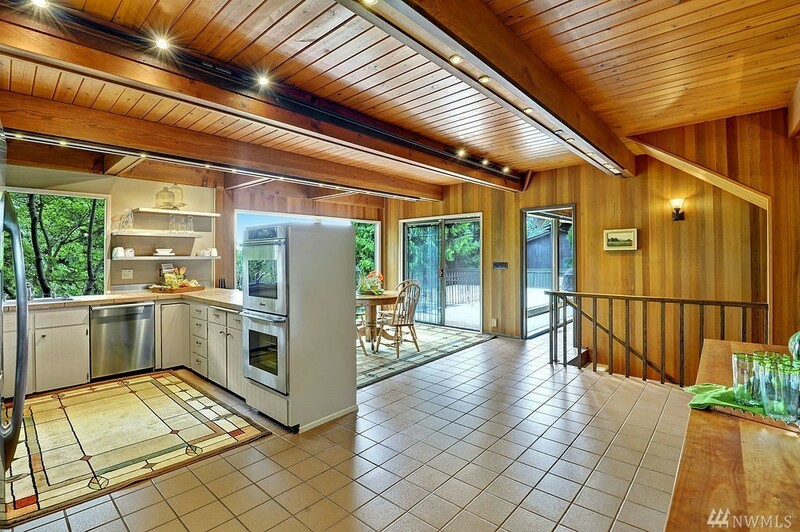 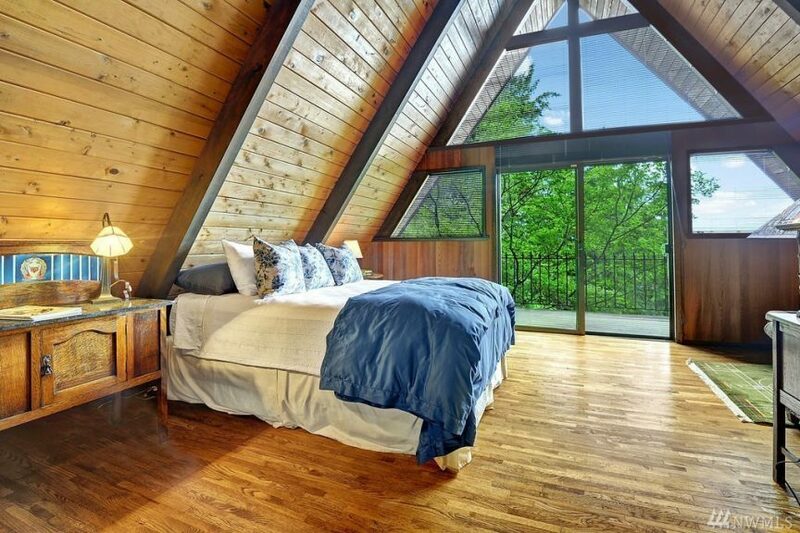 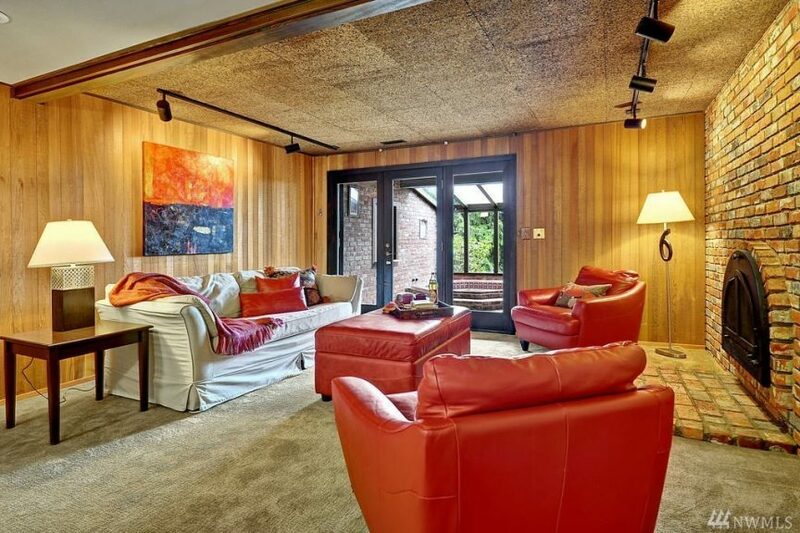 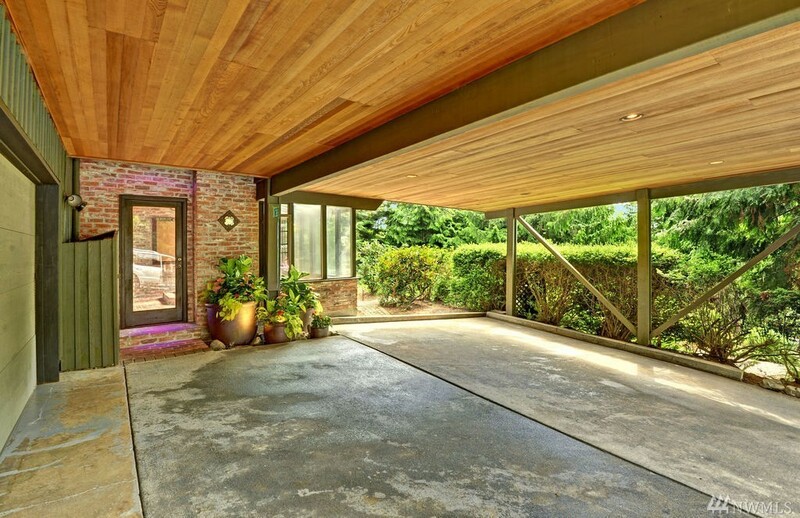 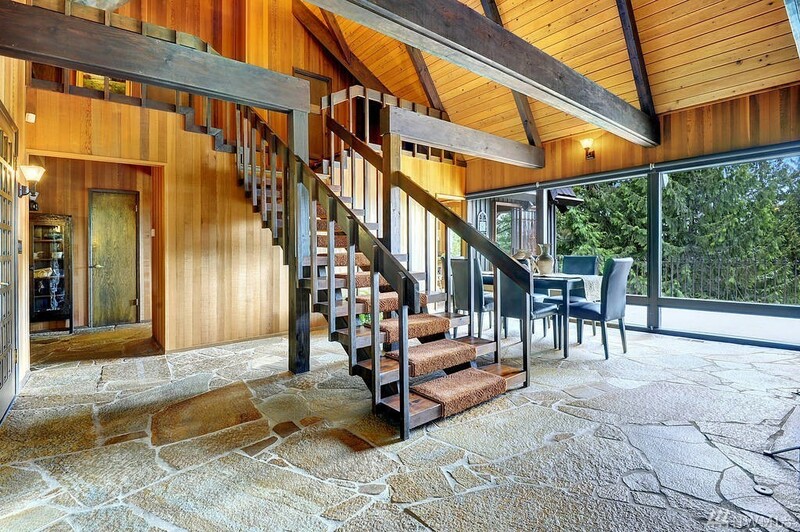 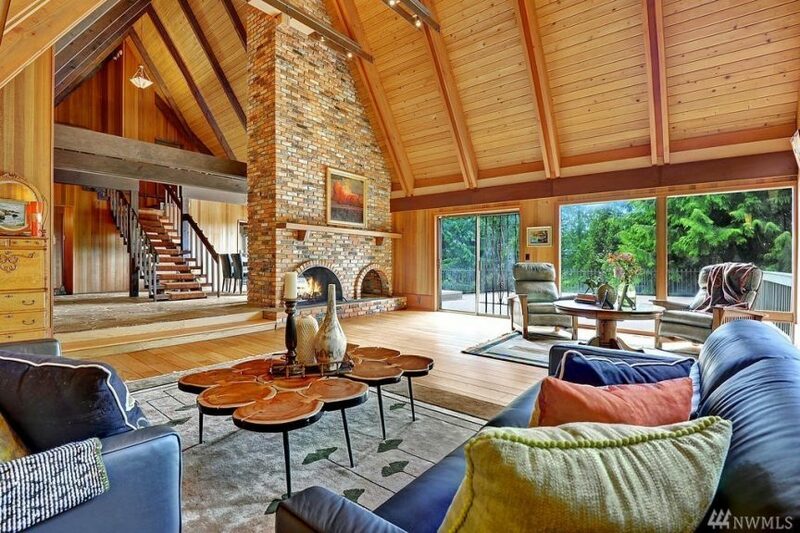 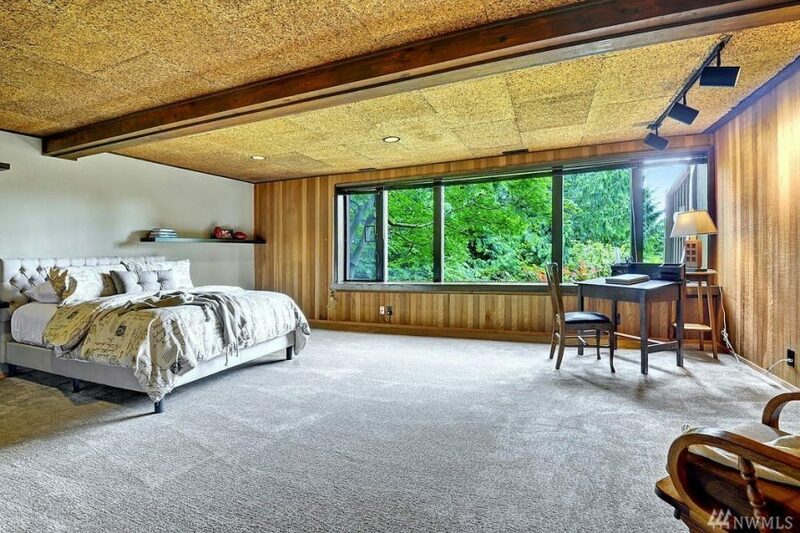 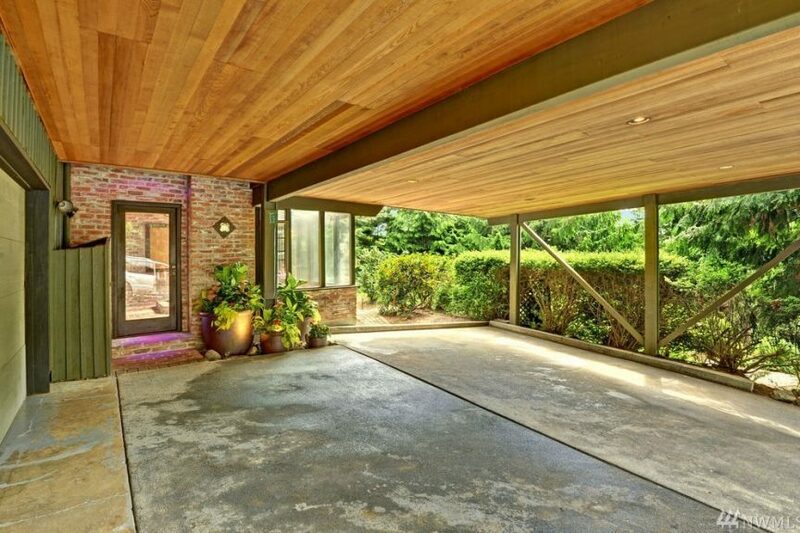 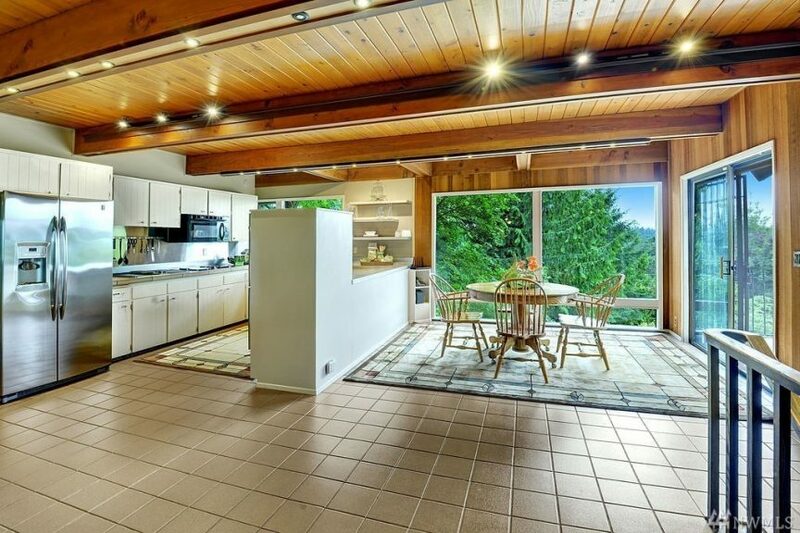 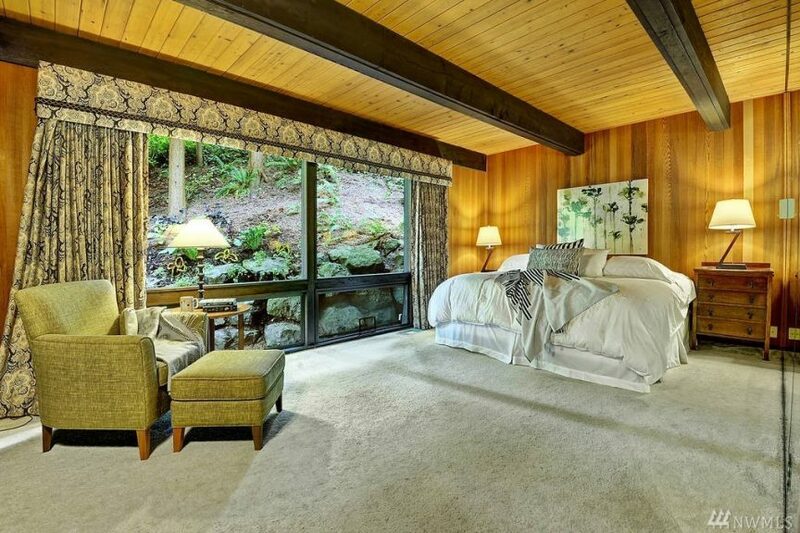 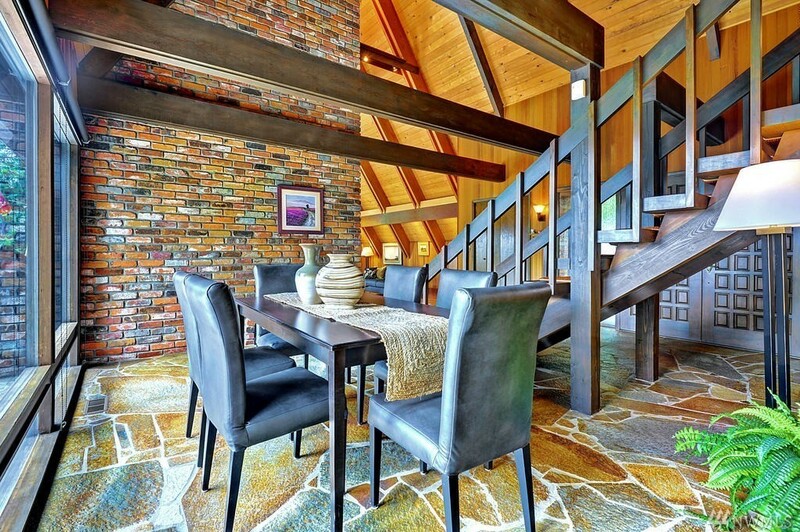 Built in 1972 the home has incredibly tall wood-clad ceilings in the living and dining rooms giving it a ski estate vibe. At 4,830 square feet, the his is a large house with five bedrooms, 3.75 bathrooms on a double lot that is over 22,000 square feet. 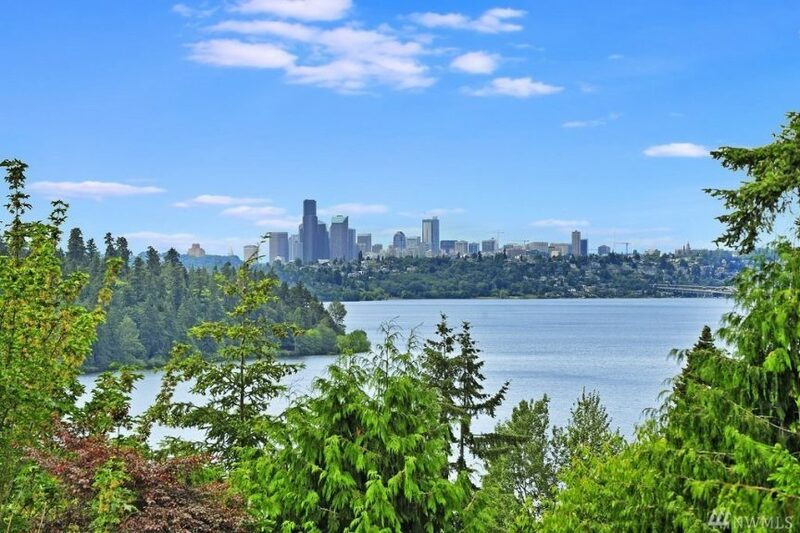 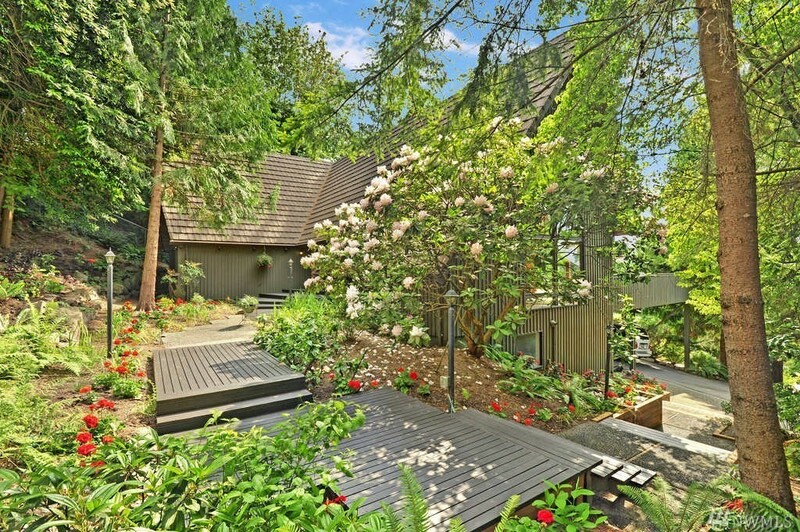 Priced at $1.895m, it is back on the market at a new price. 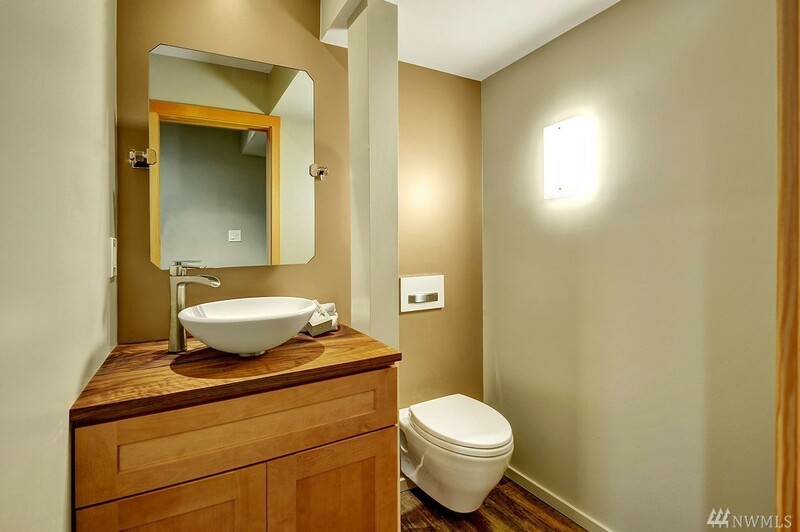 We somehow missed it hitting the market last June. 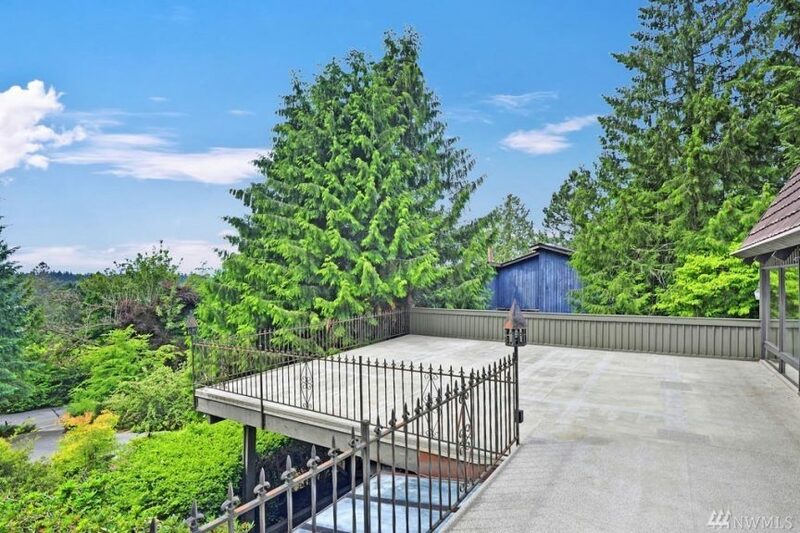 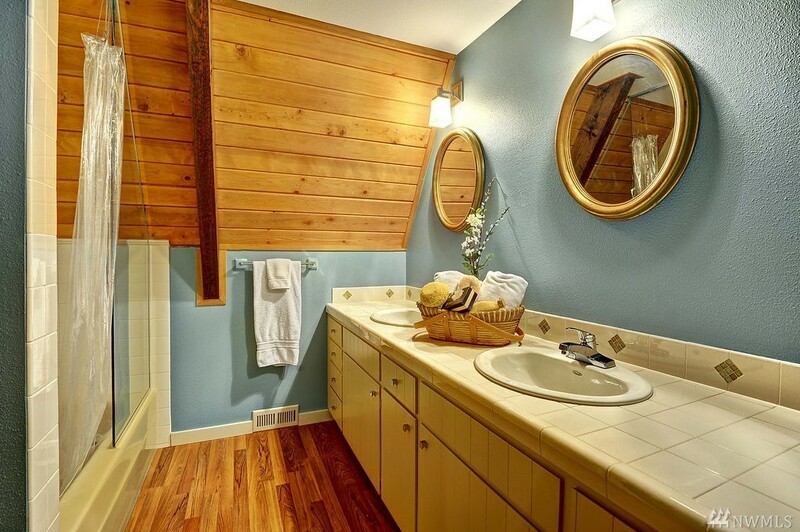 Listed by Fiona Westby • Coldwell Banker Bain.